Book Club Score: we didn’t give scores this month as the author was in the house, but we all went around and talked about sections of the book that every one connected with. My Score: N/A – see below. Book club this month had a special twist – the author of our selection joined us! Rachel Bertsche was an absolute doll, a ball of friendly and funny energy, and she clicked immediately with our book club. We were thrilled to have her and our conversation about the book was all the more interesting because she shared what other books clubs thought as well. Having her there was like a crowd-sourced answer session with girls all over Chicago. As a twenty-something author, all of us were in awe of her humility despite having written a book! Especially in the digital age, that a freaking BFD. Big Effing Deal. I think we were all surprised that we’d each experienced things similar to what was in the book and struggled with the same challenges – finding our post-college tribe of friends. Go buy the book – MWF Seeking Bff – read for your book club and laugh with girl friends, new and old. Then say hi to the author on her blog, Twitter or in person at book events all over Chicago and other cities. Have you read the book? 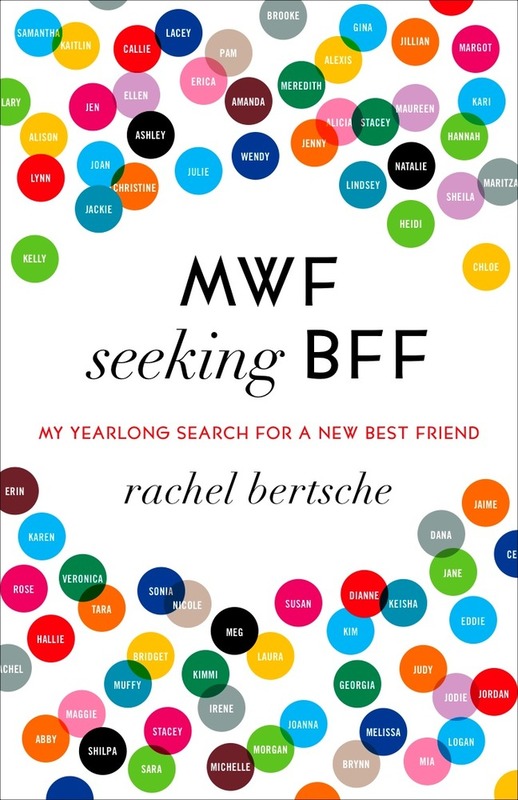 Did you struggle with finding girl friends and navigate a similar landscape as Rachel does in her book? Leave a comment, I’m fascinated to hear other girls’ perspectives! Thanks for this Eliza! I am interested to read this. I’ll definitely pick it up!